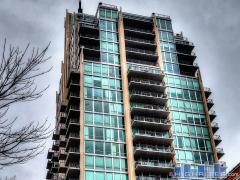 The ABC Condos offer integrity of location, design, setting, materials, workmanship, and feeling. They remain very desirable places to live within the Central West End. Enjoy spacious two and three bedroom units highlighted by truly remarkable wood work, marble and ceramic tile appointments that provide a living ambience rarely duplicated with today's modern construction. Have any comments or questions about ABC Condos? Ask your question and/or share your thoughts about this Building.